A new report from Auditor-general Colin Murphy says WA Government departments and agencies can save money by improving the way they manage travel, and by complying with government policy. The auditor’s latest reviewed looked at the travel arrangements at nine departments and agencies, and found they were not guided by adequate policy and booking the cheapest flights. He also found public servants were accumulating personal frequent flyer points on taxpayer-funded flights. In his report, Mr Murphy found employees at six departments were using flights paid for by the public purse to boost their own frequent flyer accounts. He said it was a failure of policy. “These agencies did not have sufficient guidance in their policies about the use of frequent flyer points,” the report said. The audit also spotted a problem with the way travel was justified and authorised. In five cases, flights were authorised by a person without the authority to do so. 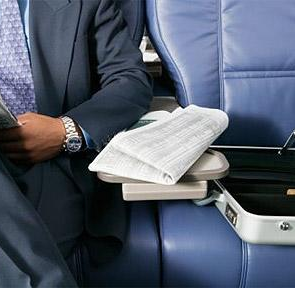 Public servants flew business class in three of these instances. In one other case, the trip was approved after it had actually occurred. And in a further instance, one public sector worker stopped over in Melbourne for the weekend on their way back to Perth from Canberra. The auditor-general found politicians and public servants took almost 11,000 trips - at a cost of $16.5 million - in the year to the end of March 2014. The report said this cost could be driven down if agencies followed the government travel policy which states they must take the “best fare of the day”, rather than their preferred option. There are also savings to be made by using an online booking service, rather than going through individual airlines’ booking systems, the report said. Auditor-general Colin Murphy also released a separate report on the WA Government’s vehicle fleet. It singled out the Central Institute of Technology’s inability to demonstrate that it had been periodically reviewing the fleet and its use. The CIT was found to be leasing two buses outside the official State Fleet arrangements. The institute was also unable to show evidence of internal management approvals for 10 of the 11 cars covered by the audit. The auditor-general recommends agencies make sure their vehicles are actually needed and used, and ensure that vehicles are leased through State Fleet.